Many states require commercial drivers to take a specialized physical examination designed to establish the driver has the physical ability to safely perform the duties of a professional driver. The specifics of the exam may vary from one state to another, but the basics are the same. Those who seek to obtain or maintain a Commercial Driver’s License (CDL) must take and pass the test in order to receive a passing Medical Examination Report (MER), and certificate. Brain injury or neurological disorder, Epilepsy and seizures, Hearing loss, Heart disease, Impaired vision, Kidney disease, Digestive disorders, Psychiatric disorders, Dizziness or fainting, Paralysis, Stroke, Missing limbs, Spinal cord injury, Chronic pain. Persons exhibiting these or similar signs cannot be granted a Medical Examiner’s Certificate (MEC) to qualify for their CDL. You will answer a series of questions to verify that you do not have any condition which might preclude you from obtaining your CDL. Answering any of those questions dishonestly can lead to serious legal consequences. After these physical examinations are complete, your care provider will discuss any hazards that may be created by your personal health history and any current medical conditions you may have. Any present hazards will be documented and used to determine whether or not you meet the standards required to receive an MEC. If your care provider determines that you do meet the qualifications, you will be given an MEC and will not have to take another DOT exam for two years. After two years, you will be required to take the exam again in order to keep your CDL. Some medical examiners will give an examination that is good for three months, six months, or one year. Your healthcare provider will also make a note of whether or not you wear glasses or contact lenses to correct your vision. Those who do not meet the standards cannot be given a medical certificate for their CDL licensing requirements. 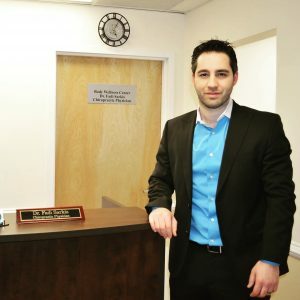 Dr. Sarkis is a certified medical examiner by the department of transportation, and now offers DOT approved Medical Examination and certification in a private and comfortable setting. If you require a DOT exam to obtain or renew your CDL, representatives are standing by to schedule an appointment.